Harlan Paul was born April 1, 1955 in Jacksonville, Florida and began the practice of law in DeLand, Florida in 1979. He practiced as a partner with the law firm of James, Zimmerman & Paul, LLP until founding the firm of Paul & Elkind, P.A. in 2003. His practice focuses on personal injury and commercial litigation matters. Mr. Paul is AV-Rated by the Martindale-Hubbell Law Directory, the highest rating available for legal ability and ethical standards. He has also been recognized for his legal abilities by being named to the Bar Register of Preeminent Lawyers and receiving a National Trial Lawyers Top 100 Badge. He is a member of the Million Dollar Advocates Forum, an organization requiring verdicts or settlements in excess of one Million Dollars each to obtain membership. He is a member of Florida Justice Association formerly known as the Academy of Florida Trial Lawyers and a member of the American Association for Justice (formerly the American Trial Lawyers Association), and a fellow of the Litigation Counsel of America. Mr. Paul has been selected to the Florida Super Lawyers from 2007 through 2012 and 2014. Mr. Paul continues to be active in civic and community matters. He was appointed by Governor Jeb Bush and Congressman John Mica to serve as a member of the Florida Federal Judicial Nominating Commission, on which he was reappointed by Senator Mel Martinez. He has been a Member of Stetson University Board of Trustees since 2004 and served as the Chair of the Board of Trustees from 2010 to 2014. 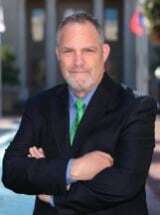 He has previously been an Adjunct Professor at Stetson University in the area of Business Law. He is the past President of the Emergency Medical Foundation and has been was a member of the Foundation's Board of Directors since 1990. He has previously served as a member of the Board of Directors of the West Volusia YMCA and as Vice- President and Member of the Board of Directors of the St. Barnabas Episcopal School Board. He has served on many other civic and community boards and committees.